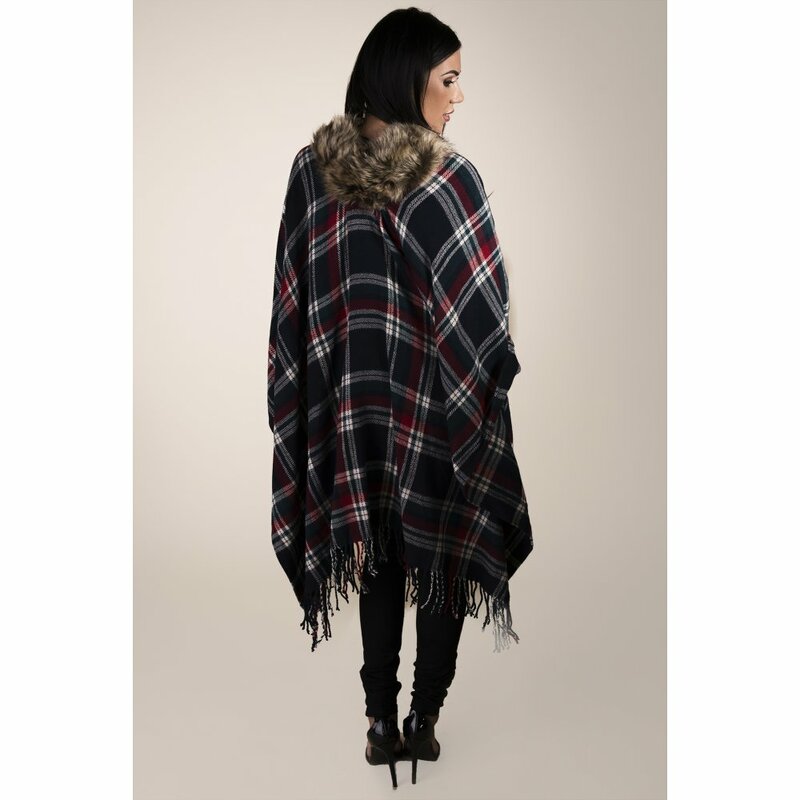 Cosy up in style this season with this gorgeous cape. 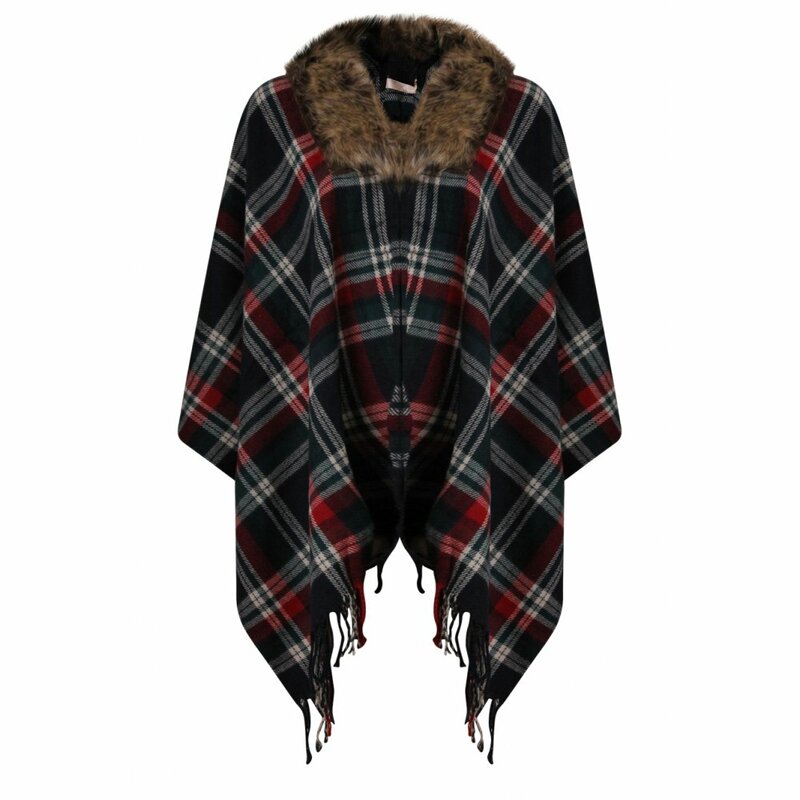 We're completely lusting over the bold tartan print & fur collar, you'll be sure to make a statement. 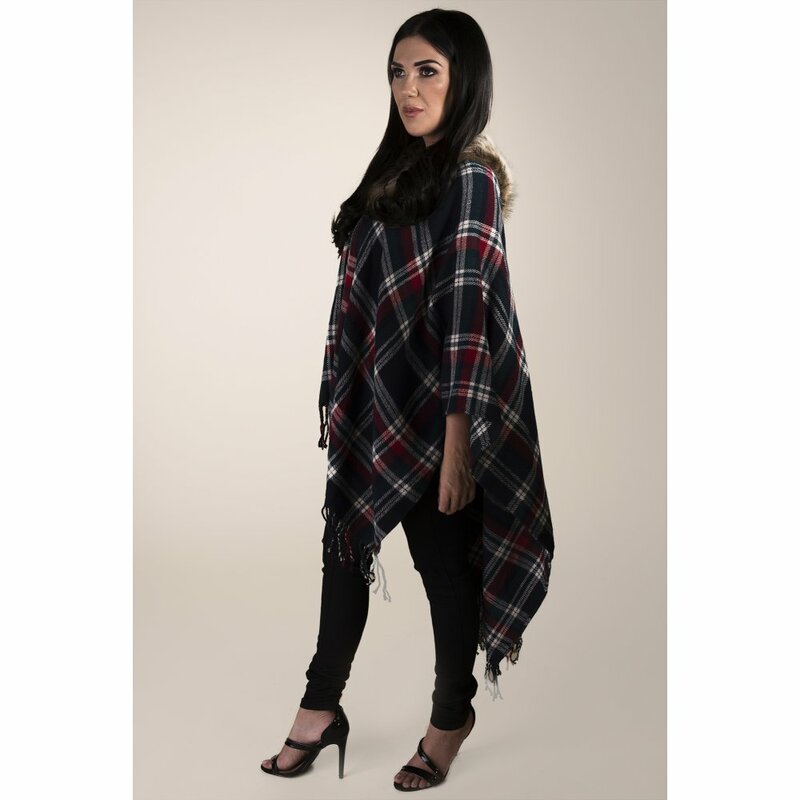 Throw yours over a pair of PVC jeans & chunky boots to give this beauty an edgy vibe you'll love.